...And remarkably, we only got lost 467 times over the course of 9 days of biking. What is more remarkable is that it really is possible to see all of Switzerland by bike. Their bike trails are (almost all) very well marked, and offer great scenic routes between all the major cities and places of interest. And many of these routes are on back trails or cart paths through forests or fields of flowers. It was one of the best trips I have taken. Especially the Interlaken area. 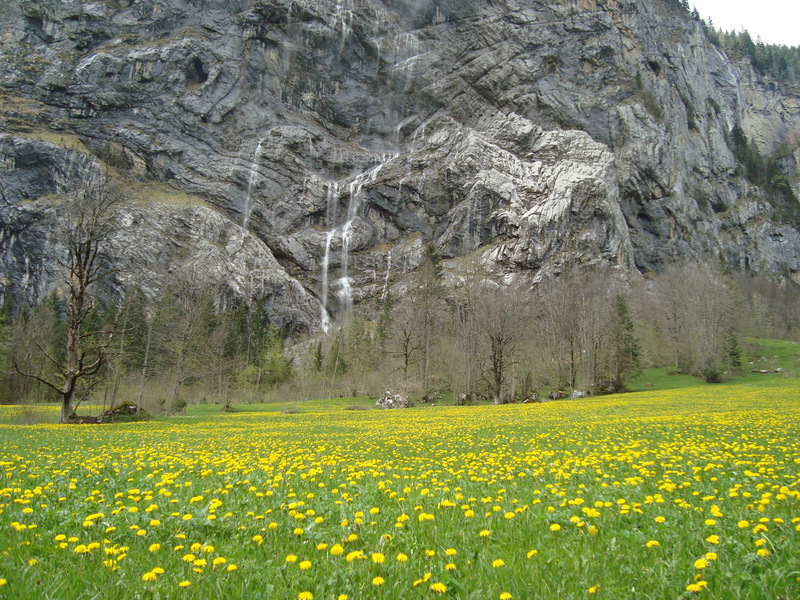 Lauterbrunnen (pictured above) may well be the most beautiful place I have ever been on earth. Five stars. Would go back. 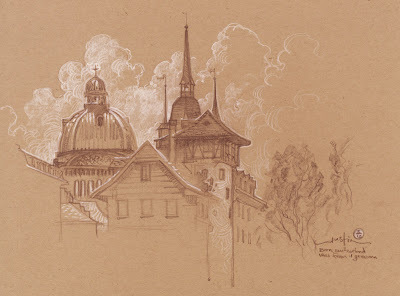 Nice photos and lovely sketches. How did you get the dragon to stay still long enough to draw him? BTW love all your drawings. "Switzerland: See the dragon in its natural habitat!" 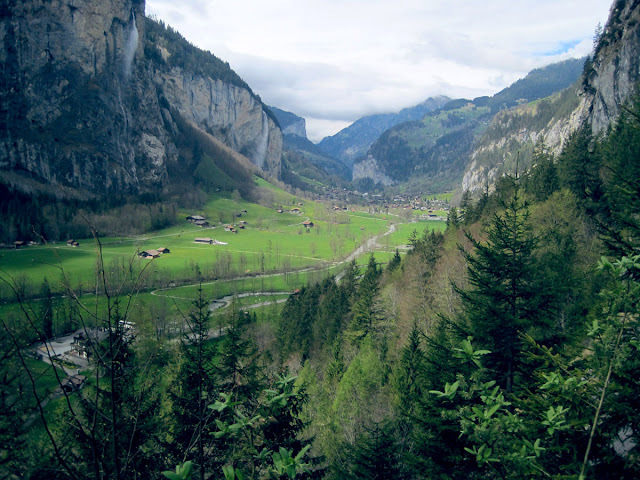 Man I would love to get a chance to see Switzerland. I'm sure you've loaded up your hard drive with plenty of great reference photos! Have fun at SFAL this weekend! oh...my.. gods... that is all so beautiful. I'm sure it was just chock full of inspiration, as I can tell from your sketches. 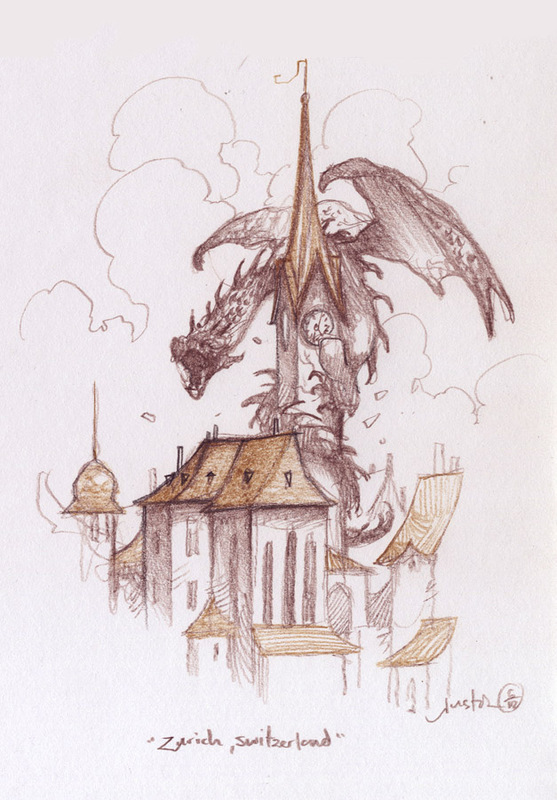 LOVE the dragon on the spire in Zurich! 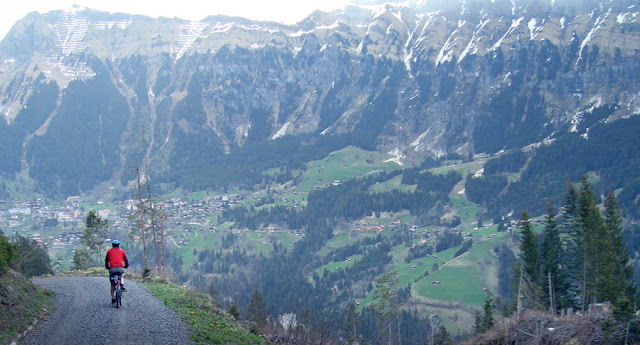 Switzerland never was really on my radar, but now I'm definitely going to need to do this bike trip thing before I die. Thanks for sharing. Aw, too bad I didn't know you were here. Hey! How comes the German-speaking part of Switzerland have all the dragons, and we don't?? Anyway, if one day you come to Geneva Lake I will show you that the French-speaking part has castles worth of dragons too! Meanwhile, I wish to say I really, really like your art. I thought John Howe was the best illustrator as far as Tolkien was concerned... seems I have to think again! I live near that. It´s a very inspirating landscape there. Awesome Image. Well taken photo. Wow, if those photos are capturing anything of what it's like in person, that is a mind-boggling-ly beautiful place even in the early spring. Thanks for sharing, now I'll put that on my list of places to go! Hi, just found your blog (via your Etsy shop!). Lovely photos of your trip. Just a tiny bit envious... would love to go and do likewise! I like the sketches very much! Lovely picture. I love Switzerland. Just came across your work and absolutely love it. 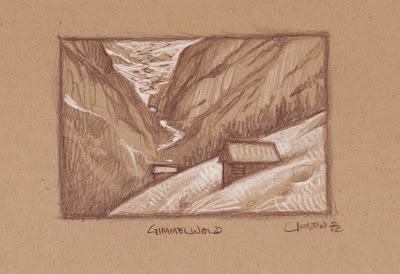 Stayed in a hostel in Gimmelwald for a week in 2010 and I totally agree, it is an amazingly beautiful place and I have to go back. Cycling the area would definitely be on my to do list.